Branded items are a great marketing option for companies to implement, this example of a bean bag phone holder reflects this in terms successfully promoting a brand. This item will be an effective branding tool and will bring many benefits to the company that will help in assisting sales and profit. Businesses using these products will have a wide choice on how to implement them, from gift with purchase to free giveaways! These items are very versatile, besides being use for protection, holders offers large space for printing the company brand on. This could be an opportunity for all sorts of companies. Particularly brands with large followings and loyal customers such as football brands. By flashing your favourite ‘brand’ on a phone holder especially something so prominent as a phone will give the customer a sense of identity and uniqueness. This is very common with branded key-rings, however not many brands have exploited the space on phone holders. Therefore this is providing a perfect opportunity for marketers to take advantage of, creating an fantastic way to increase brand recognition and awareness in the long-run. Brand Awareness – As mentioned above, a fundamental advantage of branded items is the increased awareness of the brand. As briefly mentioned, due to the popularity of this type of product will mean the brand and the product will be effectively promoted on a large scale. Brand Recognition – Equally as important as awareness is brand recognition. The more you see the keyring the more times you recognise and think of the brand, which in long run will make consumers remember and potentially favour your brand over competitors. Ultimately Increased sales – all the benefits above and added benefit of competitive advantage will combine together to increase sales in short and longer term. 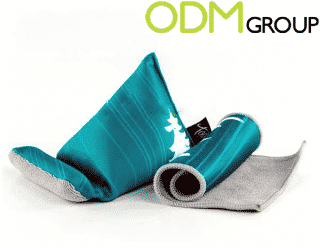 Here at ODM we specialise in promotional products such as this. If you find this article useful, be sure to view our ODM blog and you will find more useful information on marketing strategies and our company. In addition, if you’re intrigued by branded items you may find our on-pack promotions page useful, with tailored advice on this topic.